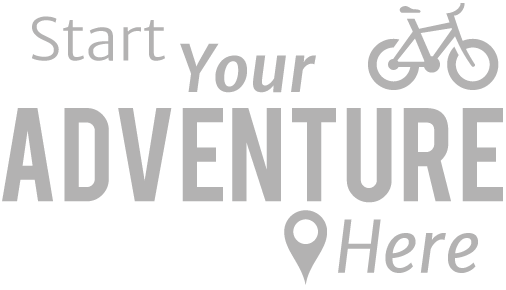 Our Vietnam,Laos and Thailand cycling tour begins in Hanoi. On arrival you will be met at the airport and transferred to your hotel in the Old Quarter. There will be a group meeting with your guide this evening at the hotel. This morning there will be a vehicle transfer to Sa Pa, passing through beautiful countryside. High in the mountains, often shrouded in cloud Sa Pa is an old French hill station perched in the Hoang Lien Son Mountains near the Chinese border. Its position offers some of the best vantage points from which to enjoy the views of surrounding mountain peaks. Sa Pa holds one of the main markets in the area, where ethnic minority groups including Hmong, Dao (Yao), Giáy, Pho Lu, and Tí y and Giay gather to trade their wares. Our cycling begins with a hard climb as we ride out of Sa Pa heading for the Tram Ton Pass (1,900m; 6,230 ft); the highest mountain pass in Vietnam. After about 12km we pass the 100m-high Thac Bac (Silver Waterfall); the loop track is steep and scenic. With a few more km of cycling to go to the peak we may glimpse Mt Fan Si Pan (if it is not cloaked in mist and fog) this is South East Asia's highest peak and part Hoang Lien Son Mountain Range, an eastern extension of the Himalayas. The Tam Tron is a dividing point in North West Vietnam's climate and we leave the cold conditions of Sa Pa behind us once over the peak. After a descent of a few hundred metres we will experience warm sunnier conditions. Our second climb of the day is gentler and then it's downhill cycling to Lai Chau with a smooth final 7km to end the day. We leave Lai Chau climbing on winding road through lush green valley. For some of our route we will traverse rough roads, through narrow gorges as we follow the Na River to Muong Lay cyling through Black Dao villages. The Dao worship spirits and ritually sacrifice pigs and chickens. Dao women's clothes are embroidered with intricate weaving, silver coloured beads and coins. It is said that the wealth of a woman can be judged by the weight of the coins she carries. We ride across the Hang Tom suspension bridge to reach Muong Lay. The French defeat here in 1954 marked the 'beginning of the end' of French colonies in Indochina, and the division of Vietnam into North and South and inspired other independence movements globally. There are a number of colonial era bunkers, a Vietnam Military History Museum and cemetery nearby. Nowadays, Dien Biên Phu is a relatively quiet town, home to a high proportion of ethnic minorities; only one third of residents are ethnically Vietnamese. You will see many minority women wearing traditional dress. Leaving Diên Biên Phu, we bid farewell to Vietnam today and as our tour continues we cross into Northeast Laos at the Tay Tran border gate. This northern area of Laos is the least populated part of the country. From here we cycle to Muang Khua. On the banks of the Nam Ou river and surrounded by scenic mountains, Muang Khua is the largest city in Northern Laos. An unforgettable, but rewarding day as we go deep into the rich jungle. 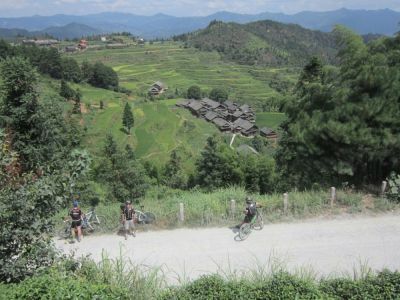 We begin with a tough climb, then ride through rolling hills with magnificent scenery before an exhilarating 29km descent into Pak Mong. From Pak Mong we will transfer by vehicle to Luang Prabang. Luang Prabang is an enchanting city, encircled by mountains and situated on the banks of the Mekong at its confluence with the Nam Khan river. We stay tonight near the town’s renowned bustling night market where you can brush up on your bargaining skills. A tour rest day in beautiful Luang Prabang, encircled by mountains and situated on the banks of the Mekong where it meets the Nam Khan River. The day is free to explore this delightful World Heritage Site with 32 historic temples, ancient monasteries, the magnificent Royal Palace Museum and French Colonial architecture. This is a place to relax, enjoy the food, the peaceful surroundings and the people. Today we enjoy discovering more about Laos people and culture on a Mekong river journey. The Mekong is the world’s 12th largest river. From the Tibetan Plateau, it flows through Yunnan in China, into Burma, then Laos on into Thailand and Cambodia before forming a large delta in Vietnam and flowing into the China Sea. Departing Luang Prabang our tour continues as we journey upstream cruising to the mouth of the Nam Ou River, and pass holy caves at Pak Ou where there are over 4 000 Bhudda icons. Pak Beng is a small town, popular as a stopping point for river travellers. There are two wats in the town that offer lovely views over the river. Were back on our bikes today. The first 20km of cycling out of Pak Beng are fairly gentle, as we ride uphill out of town, easing us in gently before we tackle hill country for the next 32km cycling all the way to Muan Ngeun with a series of steep stretches. For early risers there is a bustling morning market in Muang Ngeun, but be warned, the action is all over by 07.30. We leave Laos today reaching our third country of our South Asian cyling tour, crossing into Nan Province in Northern Thailand and cycle through a jungle scenery of steep and challenging rolling hills. We are close to the Doi Phu Kha National Park. 70% of Nan province is remote mountainous terrain, untouched natural beauty, populated by Lanna, Lan Xang and Sukhothai hill tribe cultures. It is worth rising early this morning to catch the breath taking sunrise. Often shrouded in early morning mists the stunning landscape of karst rocks, mountains and valley emerges with a quite magical aura; on a clear day you will glimpse Laos in the distance. On the last cycling day of our tour we follow snaking road cycling down to join towards Yoan through a vast expanse of rice fields. The area is home to many Tai Lue people. The Tai Lue originated from Yunnan province in Southern China and migrated to Northern Thailand, (particularly to Nan and Phayao), around 200 years ago. There are a number of traditional temples and teak house villages in the area. Tonight we will have a celebratory meal to mark the end of our journey. The tour ends this morning. You will be transferred to Chiang Rai airport for your flight home.